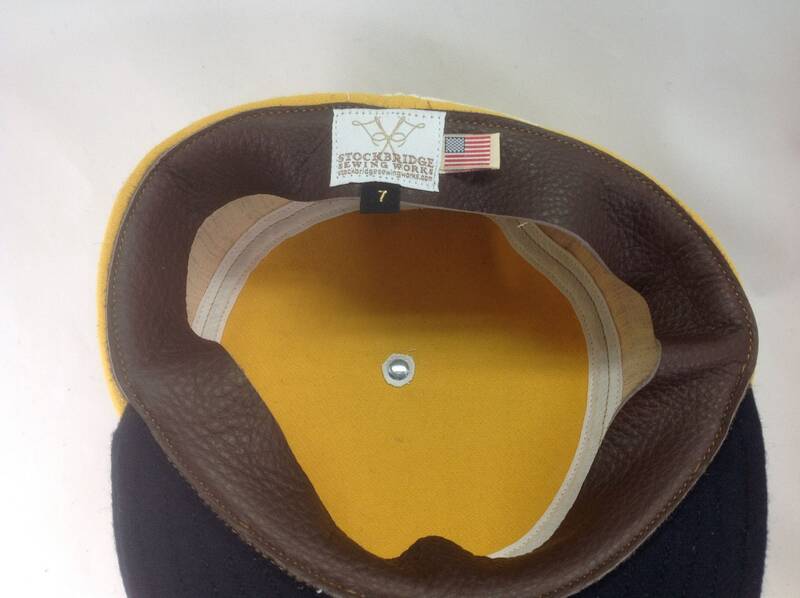 Gold wool flannel boxcap with 2 navy visor, button, and 2 white wool bands. Leather or cotton sweatband, any size. Select size at checkout. 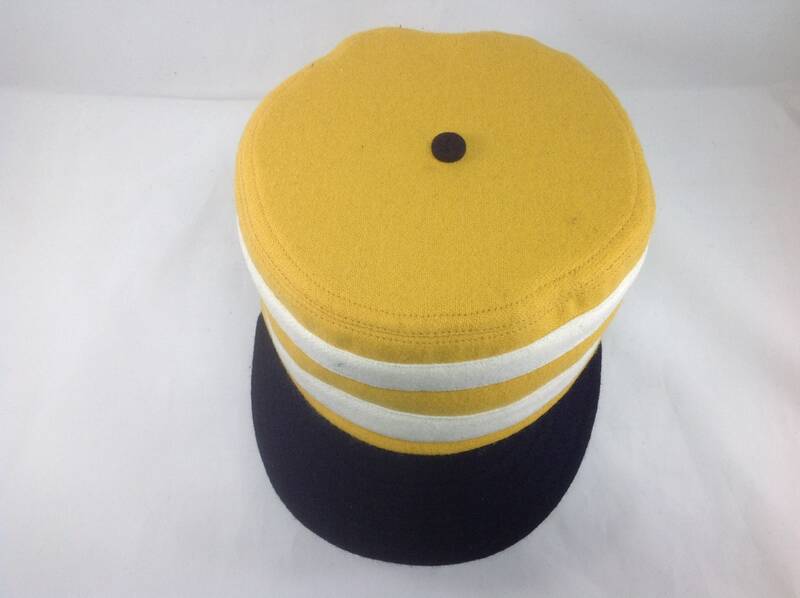 Gold wool flannel boxcap with 2" navy visor, button, and 2 white wool bands. Leather or cotton sweatband, any size. Select size at checkout. 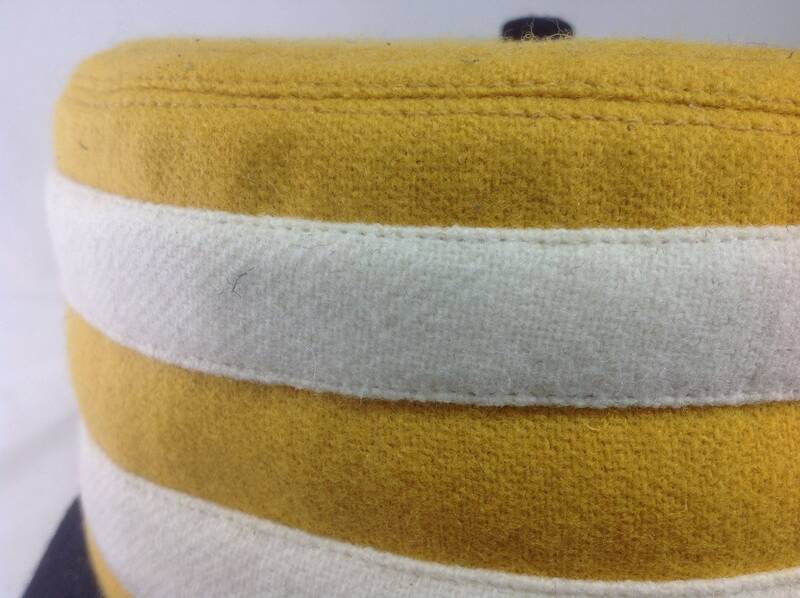 This cap is made from a soft gold wool flannel woven in New Hampshire. The boxcap, or pillbox as it is sometimes referred to, dates back to the late 1800's. 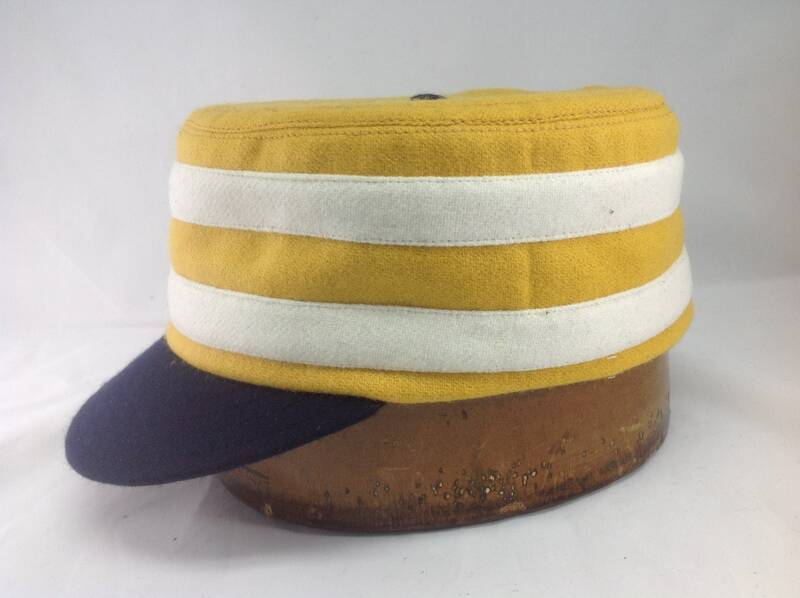 This classic cap style has made its comeback several times in professional baseball. 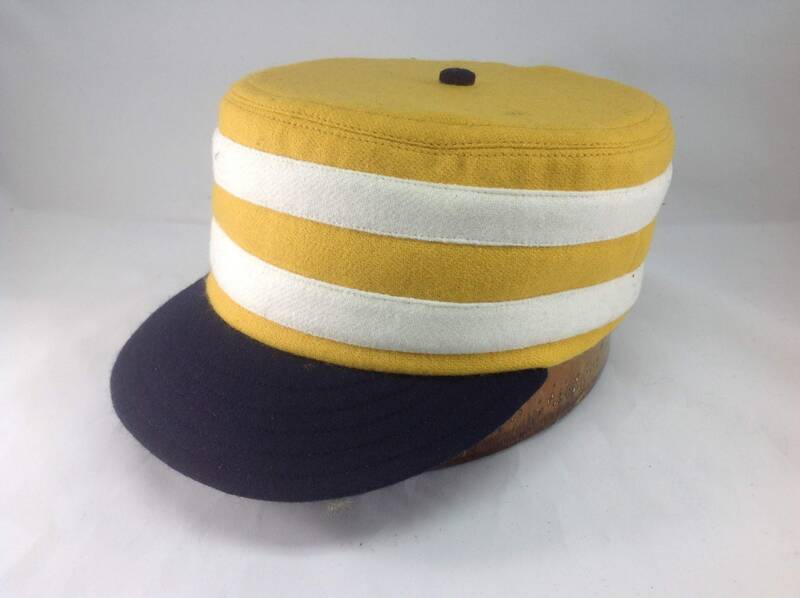 As the maker of caps for many of the vintage base ball teams around the country, who play by the 1800's rules, the cap has never gone out of style! Prefer another color combination? Email me at norma [!at] stockbridgesewingworks.com with your cap ideas.